About 17 others were rescued, Aiman Dabbashi, Sabratha's security operations spokesman, said. 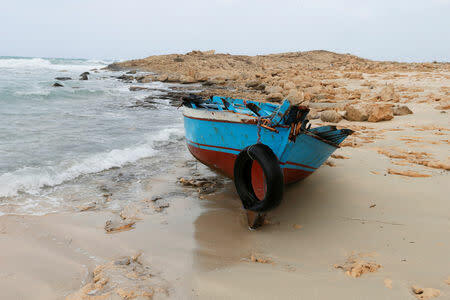 Libya's western coast is a main departure point for migrants fleeing poverty and wars to reach Europe, though numbers have dropped since Italy and the European Union stepped up efforts to support the Libyan coast guard. "According to a survivor from Sudan, the boat was carrying about 27 illegal migrants who set off from (the western town of) Zuwarah but we are still finding out more," Dabbashi told Reuters. "We rescued about 17 illegal migrants including a woman who all were taken to the hospital. There are about ten bodies of the other migrants."